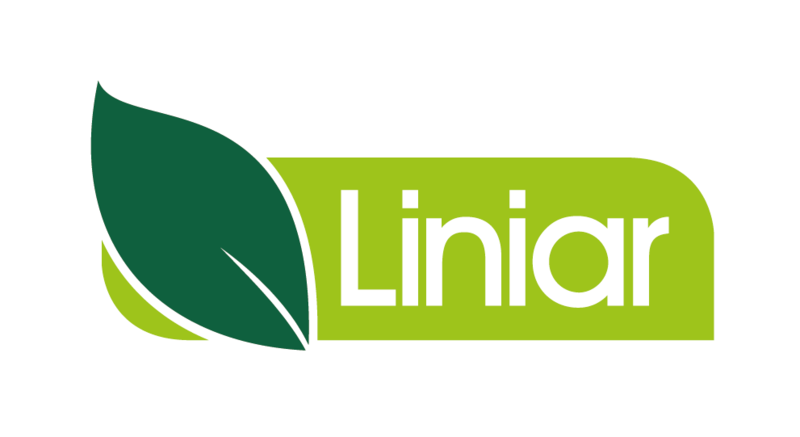 Liniar log pile has been launched to add to the already extensive Liniar piling range following many months of development. Unique in its construction, the new Liniar log pile has been designed to replicate the appearance of wood logs. Liniar’s log pile is an ideal choice for use in applications where a ‘hard engineering’ solution is required but there is a desire for a more environmentally friendly product with a ‘soft engineering’ appearance. Liniar’s log pile is covered externally with a timber composite finish to give it a natural look and to enable algae or moss to grow on it. 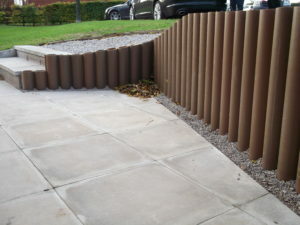 The tubular log piling is designed as a retaining structure. 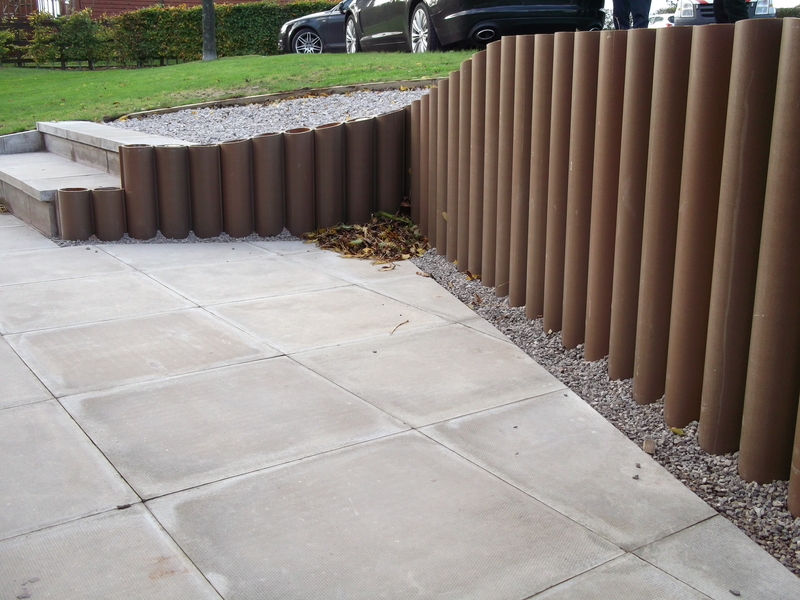 Made from 100% recycled material, it’s perfect for use in situations where traditional piling options are not practical and equally suitable in natural habitats. Designed to weather naturally the colour will evolve over 6-8 weeks before setting to it’s final state, just as natural wood, the fascia of log pile can be treated with a water-based wood stain if necessary. We’ve produced a comprehensive Log Pile Design Guide which includes technical engineering values, configurations and installation options. 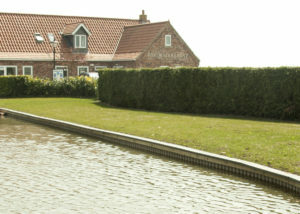 Liniar’s log pile is ideal for bank retention when a more aesthetic finish is required. 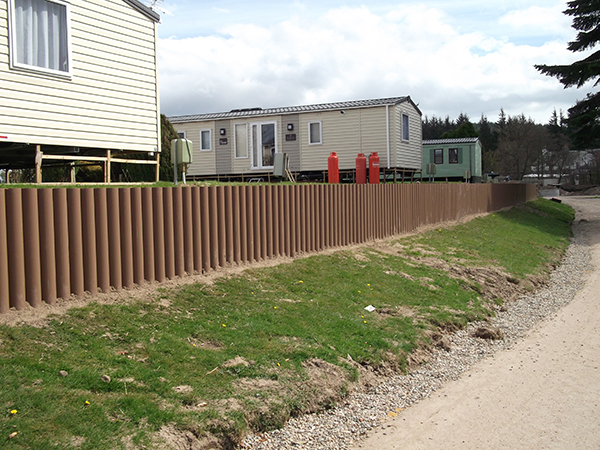 It can also be used by the Rail Network to construct track side worker refuges and as an effective alternative to concrete surrounds to protect signalling location cases and boxes from land slippages.